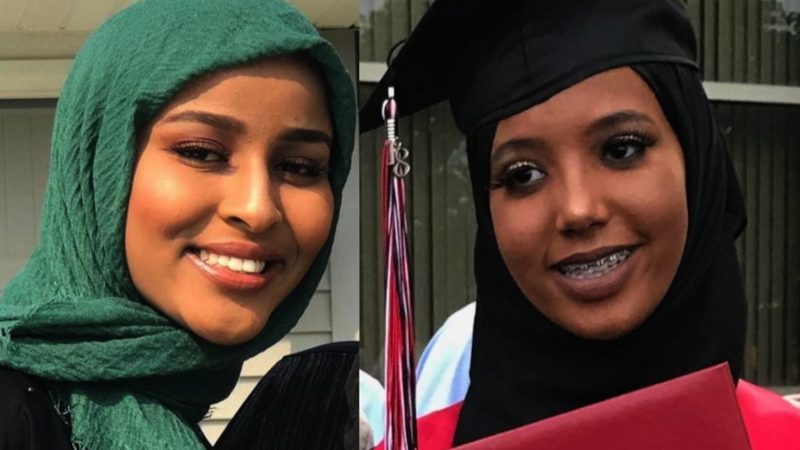 It is with a heavy heart that we share this tragic news about two young Muslim women who went missing in Chaska, Minnesota this past weekend. Bushra Abdi, 19, and Zeynab Abdalla, 19, went missing early morning on Saturday, October 13th. Bushra and Zeynab regularly worked overnight shifts, Bushra at Chaska Height’s Senior Living Facility, and Zeynab at the Amazon Fulfillment Center at Shakopee. Being cousins, and best friends, they tended to take their breaks together from their respective workplaces, and it seems that Saturday was no different. During the search for Bushra and Zeynab, police located the car and two bodies in a pond on the afternoon of Sunday, October 14th. Police received a call from one of the woman’s cell phones, only to hear an agitated voice saying “Help me,” before the call was lost, as reported by WCCO. The investigation is still underway, however, as of right now the medical examiner stated it was an accidental drowning. Police reported there were tire tracks leading up to the pond where the car was found, according to Newsweek. A memorial service was held on Wednesday, October 17th, organized by students at the Normandale Community College. According to WCCO, Abdi and Abdalla were cousins and best friends. They were full-time students at Normandale, and are described by classmates as inseparable. “Brave, bright and beautiful. They were super-friendly and had a great personality that lighted [sic] up everyone around them,” said Ridwan Osman Ali of Normandale Community College’s Muslim Student Association. We ask that you keep Bushra and Zeynab in your prayers. We ask that you pray for their families and their community. We belong to God, and to him we shall return.